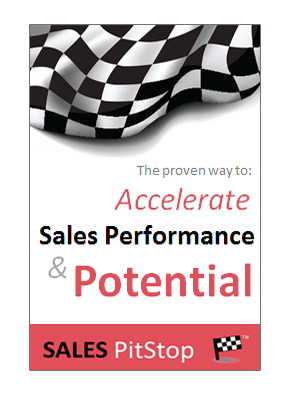 Like any salesperson you are tempted to say ‘yes’ – ‘yes it will do this’, ‘yes it will do that’. It is like you were selling one of those very handy pen knifes that can do almost anything! A client of ours turned for advice to some rich and retired entrepreneurs who had recently sold their IT business to one of the big vendors. How did they do it? How to build a business that a vendor would ultimately want to buy? These were just some of the questions. The conversation threw out many nuggets of information, but there is one that I wanted to highlight in particular. It is called the Swiss Army Knife paradox – a clear way of explaining something that we have long held to be true. Let me explain. A Swiss Army Knife has many uses –screwdriver, nail file, scissors and much more besides. If you are a MacGyver type who is struck in the wilderness the Swiss Army Knife is the ultimate penknife, combining 20 plus tools in one. Now, the temptation for every company is to continually develop its product and proposition in a similar fashion to the Swiss Army Knife – adding new features and benefits in an effort to make it do everything and serve everyone. That our rich and retired entrepreneurs emphasize is not a good idea. It can result in a product that is harder to sell to the customer. Paradoxically the more you claim your product does the less attractive, or certainly the more confusing, it may be for the customer. I will let the veteran entrepreneurs explain: ‘If your product does everything then that is just plain confusing – people like to pigeon-hole your company and your solution – clearly defining what it does and does not do’. ‘If you tell them it does everything for everyone you run the risk that they may not believe it, and in particular that they will continue to search for a specialized solution that is specific to what they see as their own special needs’. 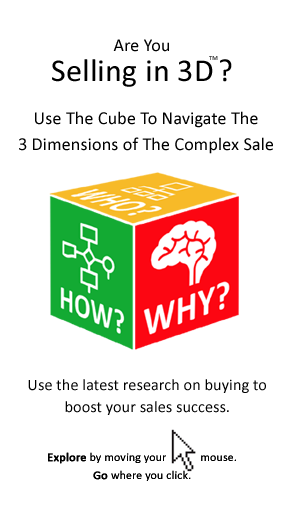 In our research we continually hear buyers complain that salespeople stretch credibility because of their reluctance to say no to any question about product functionality, or scope. We call it ‘feature overload’, but of course it applies to benefits as much as to features. Does it do this ‘’yes’’ does it do that ‘’yes’’, oh and it is ‘full integrated’, ‘feature rich’ and does it incorporate ‘full reporting functionality’? Saying ‘yes’ all the time may be one claim too many. Buyers have heard it all before. Past experience has taught them to be skeptical of the seller’s over-eager claims. They tell us they would prefer if salespeople would come clean and say what their solution does and does not do. Back to the Swiss army knife, if you need to tackle a screw then it cannot compete with a screwdriver, that is, if you have access to one. So the sales proposition and real value of the king of pocket knives is not that it contains 21 tools in one, but that it fits in the pocket and is great for situations where you don’t know what you may need, but (like a good scout) you want to be prepared for whatever may happen. Just like your solution, when you think about it, the Swiss army knife cannot legitimately claim to do everything, unless off course there is no full toolbox in sight. The message for sellers is to avoid the Swiss Army Knife Paradox. That requires being explicitly clear on the unique value of your solution and putting limits on your claims. It is not about having all the features, but having those that are most important to the buyer. The message is not that ‘ours is the best solution, but rather that it is the best solution for you’. Remember Buyers Can See in 3D!